1 Comments Published by Cedric Benetti on Wednesday, August 12, 2009 at 8/12/2009 02:18:00 AM. 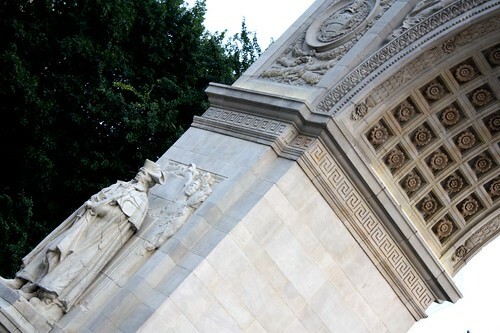 In 1889, to celebrate the centennial of Washington's inauguration as president, a large plaster and wood memorial arch was erected over 5th Avenue. 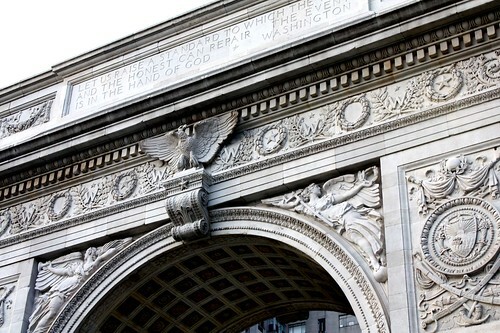 The temporary arch was so popular that in 1892 a permanent marble arch, designed by New York architect Stanford White, was erected, standing 77 feet (23 m) inside what is today Washington Square Park. I always love the photos, but especially nice is you take time to teach us the history too - a real renaissance man Cedric.